When you arrive off the plane you will know you are in Fiji , mosts flights are welcomed by a traditional Fijian band in hula skirts who will dress you in a floral necklace / Lei. There are two main airports in Fiji ,Nadi and Nausori it is worth making sure that your accommodation is close to the airport you are flying into on Fiji as it can be a long trip from one side of the island to the other. There are old school yellow taxis available at the airports without pre booking , although I would advise booking in advance so that you can travel in one of the more modern cars with air con. 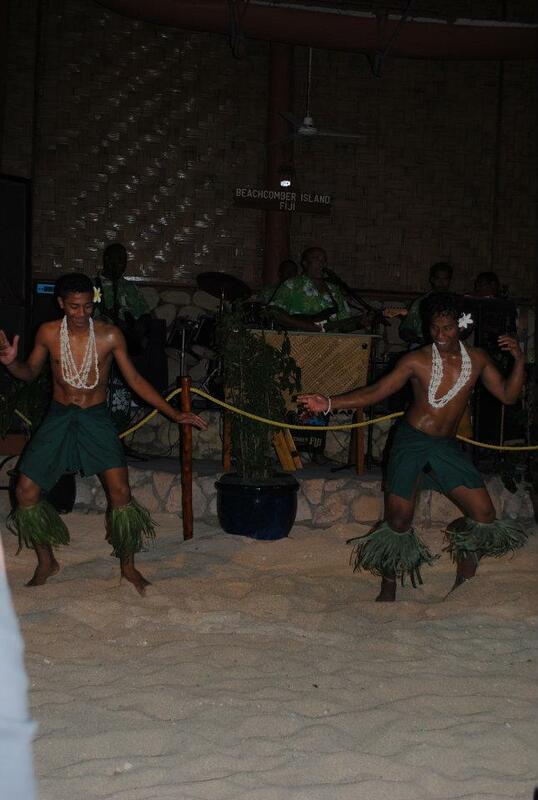 Fijians are very proud of their country and the welcome all visitors with open arms. 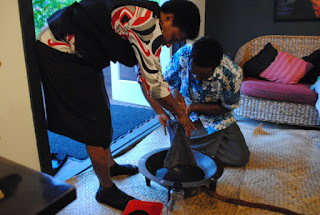 You will no doubt bump into a few native fijians during your stay that will invite you to their home or village to meet their family to see how they live. The food is colourful and fresh , Fiji menu staples are root vegetables such as sweet potatoes and Fish chargrilled on open fires. 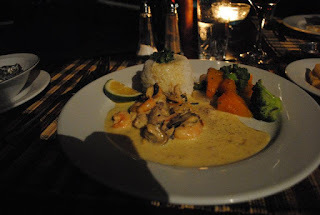 If you are staying at a resort you will find the same menu options are available every day alongside a few mixed buffets. The benefit of having so many resorts on one island means you can easily stroll down the beach to the next resort to explore and try something different. There is a large indian population on Fiji so you will find lots of curry houses in the main towns and some of their influence in Fijian food too. When you check in to your resort they will explain whats on offer as they are keen to get some business for local travel operators. 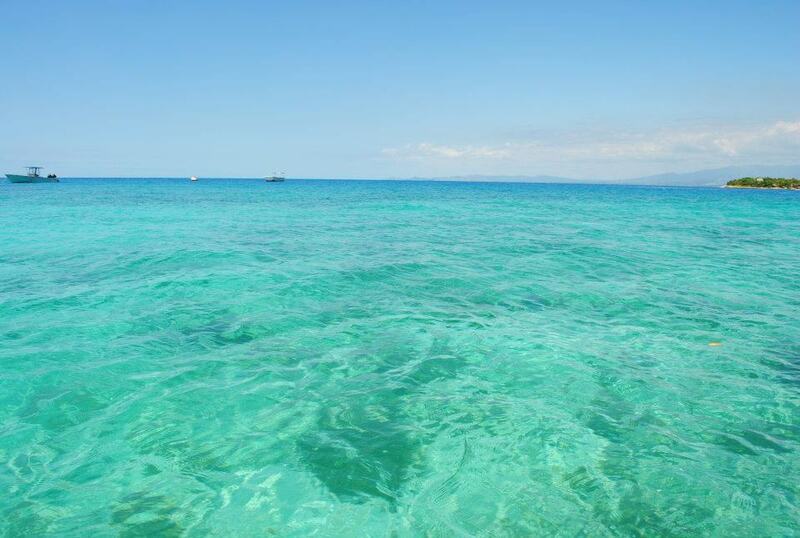 There is lots on offer such as hiking around the beautiful terrains , scuba diving and pearl hunting! 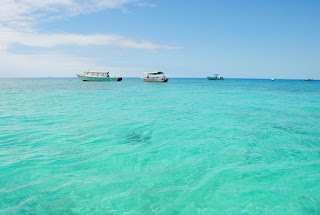 Fiji has a network of stunning coral reefs rich with colourful fish , rather than rent snorkelling gear buy your own .Almost every beach in fiji has a reef worth exploring so you will definitely get your monies worth! 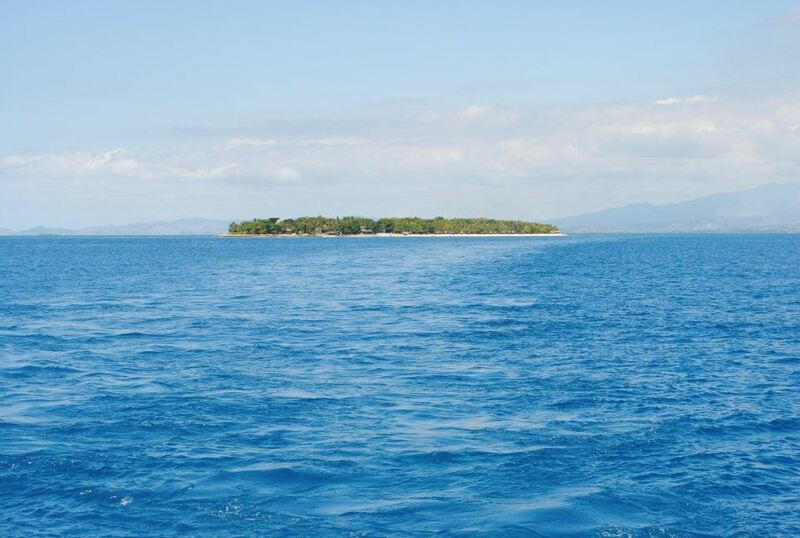 Fiji is compromised of more than 300 small islands , only 1 in 3 are inhabited. 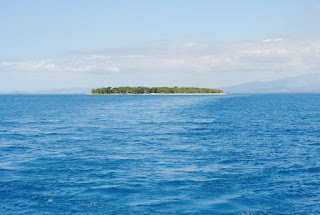 From Nadi port you can book on a day cruise or travel to another island to stay for a few days. The resort was very relaxing and serene , although it is very remote so if you like to be next to all the action this is not the place to stay. 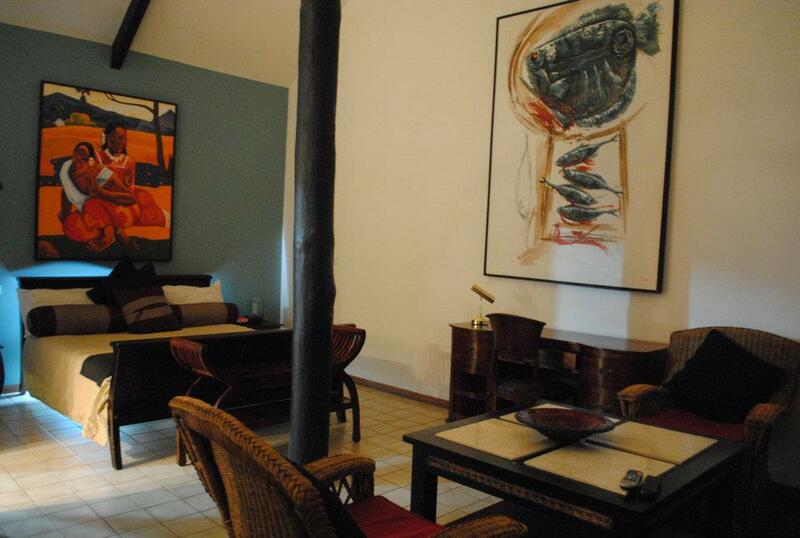 There are 10-15 bungalows in total , all modern but finished with a fijian feel. 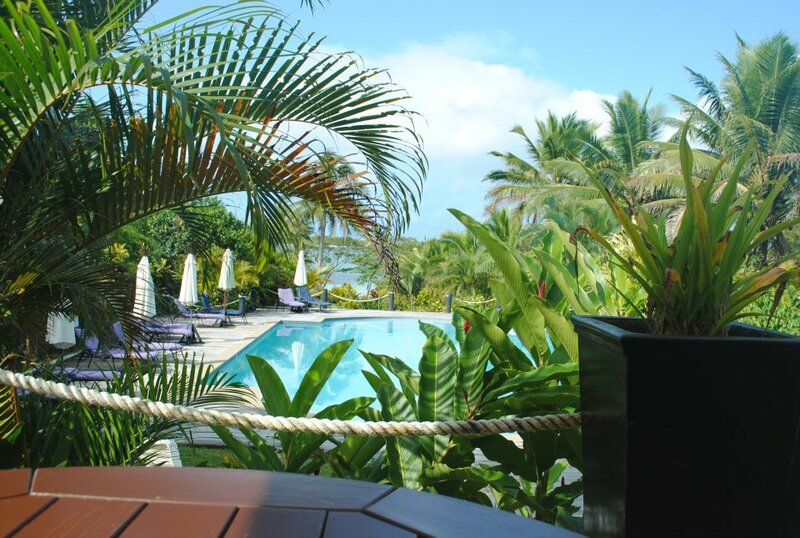 There is a beautiful pool which looks out to the sea , the beach is within footsteps of your bungalow so you don't have to walk far to go exploring or snorkelling. 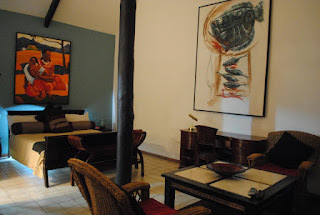 The owners are a really friendly couple who will help assist you during your stay. 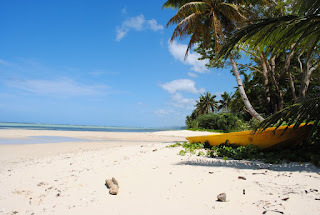 You can also walk up the beach to visits other resorts , it's quite nice to explore away from your hotel as you can find some interesting gems and other resorts are really welcoming to visitors. Wifi is not included here , you can walk up to the next resort to use the computers but this really is a place to go if you want to disconnect otherwise even though it is a beautiful place to stay I would recommend staying at a livelier resort. 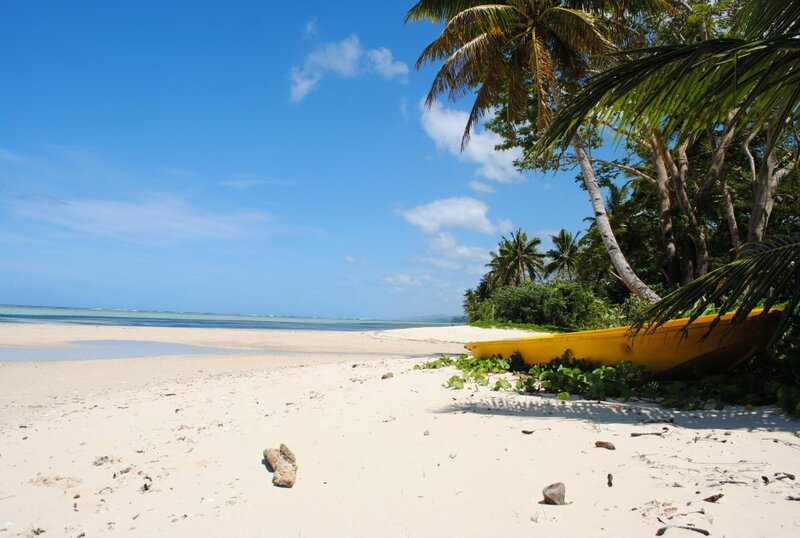 One of the most popular islands is beachcomber island , worth a visit if you like to party. It costs around $30 fijian dollars to catch the ferry from Nadi to Beachcomber. You can go for a day trip , overnight stay OR buy a one way ticket and decide when to book a return ticket when you get there. The island itself is non stop and every one is in party mode. Every evening there is a huge buffet in a canteen like surrounding with long tables and benches. It is relatively cheap to stay at the hotel on beachcomber but it offers basic rooms and amenities , I guess the rooms aren't built for spending much time in as there is so much else to do! 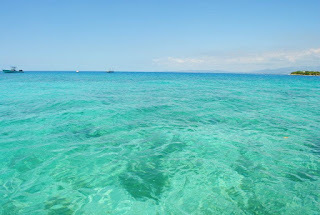 You can escape the party to a quiet beach by walking 5 - 10 mins away from the resort , quite a contrast! 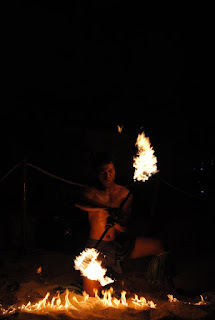 At night the main bar comes alive with a band and traditional fijian fire throwing dancers , the party never stops hence maybe deciding when to book the return ticket after you arrived on the island as you may want to stay for longer. 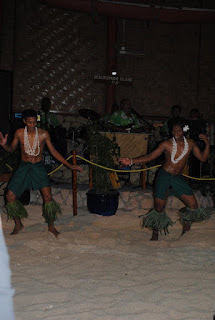 The local travel agency `Fiji-hotels` are fantastic at organising day trips and excursion during your stay. 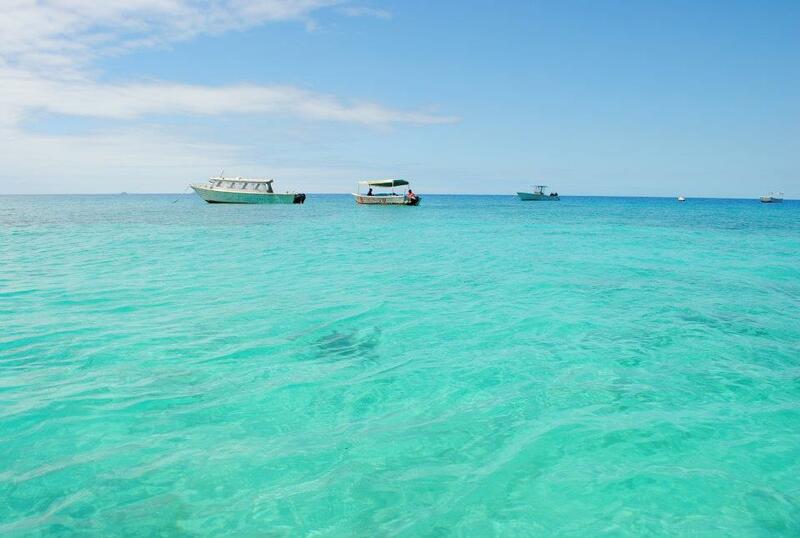 http://www.fiji-hotels.com.fj/ . Nope it's not bubbly. Kava is a traditional fijian drink made from the powdered root of plant called Piper methysticum mixed with water.Most hotels hold Kava ceremonies for no extra charge. 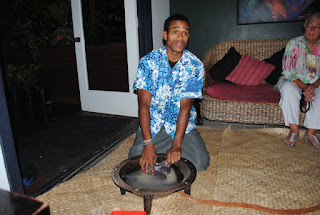 To create the Kava they mix the powdered root and water in a big bowl then fill wooden cups , followed by the question high tide or low tide?That is up to you! Kava is numbing and relaxing but I wouldn't recommend drinking too much of it if you have plans that evening.